Reverse push-ups and bicep curls are a great way to sculpt those arms in preparation for the big day! Don’t fret, you won’t “bulk up”…just create long, lean, beautiful muscles. “Folder-over” at the barre, is one of the best exercises to get that heart pumping and calories burning as well as creating a lifted booty and stronger thighs! Trim your waist with our infamous “pretzel” (not the one you eat). You’ll definitely feel this one the next day! Forget standing around and discussing your latest tutu… we’ve got shaking to do! Burn through a ton of calories with about 5-7 minutes of shaking per class. Flat abs for the Honeymoon After? Not a problem! At the end of each class we have a 15 minute concentrated core workout. After as little as 8 sessions you’ll really start noticing a difference in your body. You’ll feel re-energised, stronger and leaner. 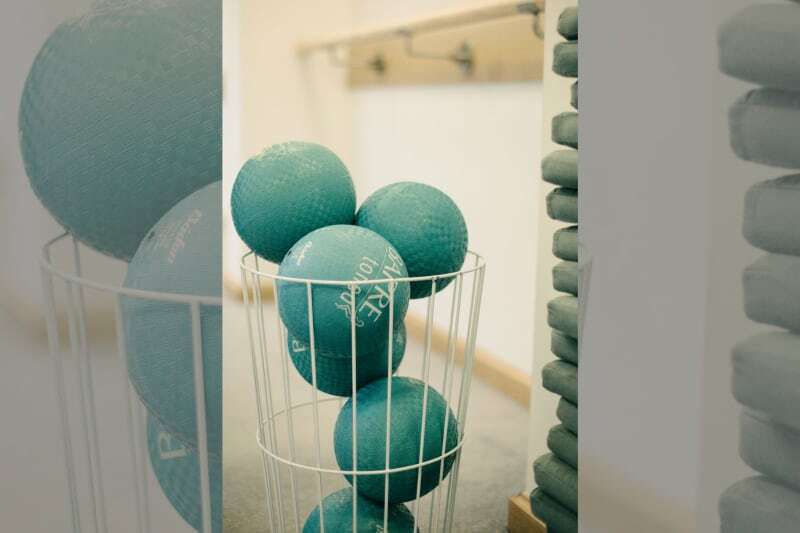 BARREtoned is one of London’s finest ballet barre studios, located in Notting Hill. BARREtoned offers a full body workout using small controlled movements to work each muscle group to exhaustion. They cater for total beginners as well as seasoned gym-goers. It’s super fun (we promise), time passes quickly AND it actually works. 50% off the first month of BARREtoned’s “Bridal Special” making it only £85 and £170 thereafter (6 month contract). FREE BARREtoned tank top, grippy socks and a BARREtoned tote bag. A complimentary private “Hen Do” class for up to 11 of your friends. Don’t live in London? BARREtoned provide online classes too so you can take their class from wherever you like. Contact the studio to claim your discount code.